When it comes to your body, the pH balance matters to your overall health. One a scale from 0 to 14, a lower number means your body is more acidic, and a higher number means it is alkaline. In your body, the most important pH exists in your blood. The pH in your organs fluctuates in order to keep your blood pH between 7.35 and 7.45, so it is slightly alkaline. 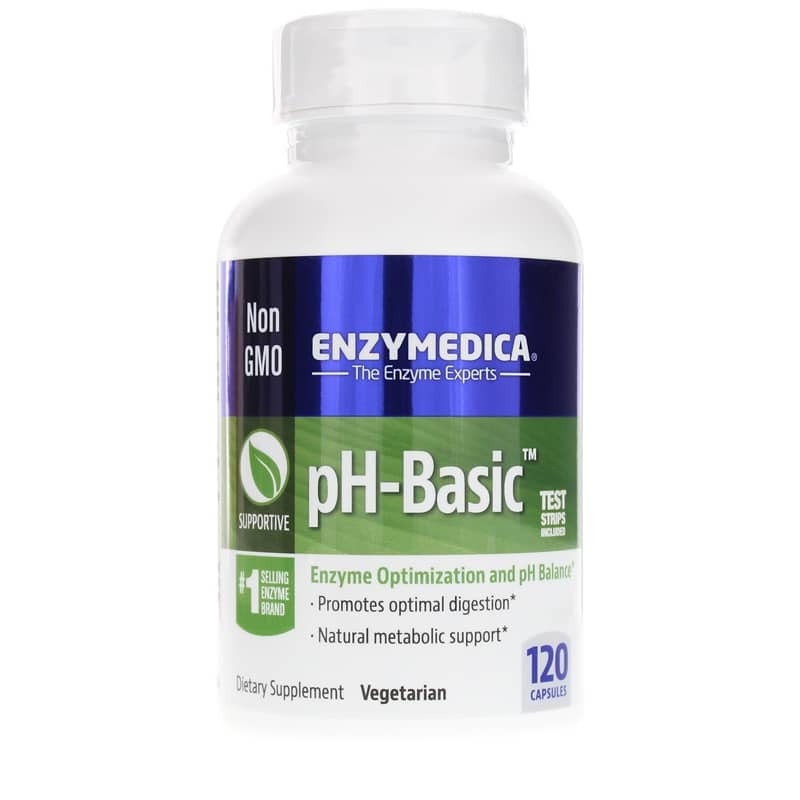 pH-Basic from Enzymedica is formulated with a synergistic blend of enzymes, minerals, herbs, and superfoods that work together to help raise the alkalinity of your body. 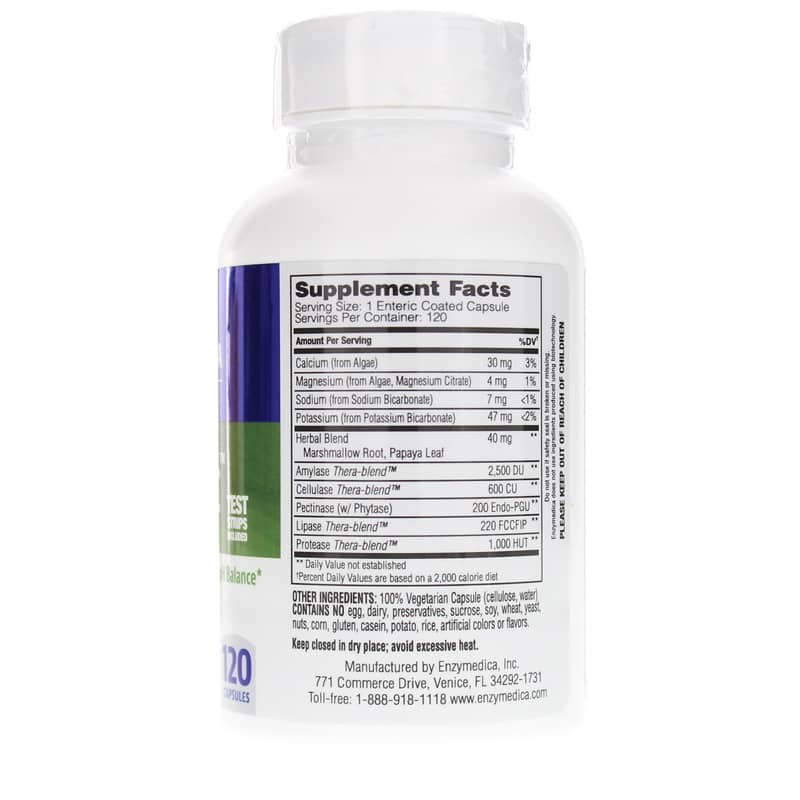 pH-Basic helps your body maintain a healthy pH balance with slight alkalinity. When your blood, digestive tract, tissues, and fluids have healthy pH balances, you're more likely to be able to maintain optimal overall health and wellness. Give Enzymedica's pH-Basic a try today! Contains NO: egg, dairy, preservatives, sucrose, soy, wheat, yeast, nuts, corn, gluten, casein, potato, rice, artificial colors or flavors. This product contain(s) no fillers. 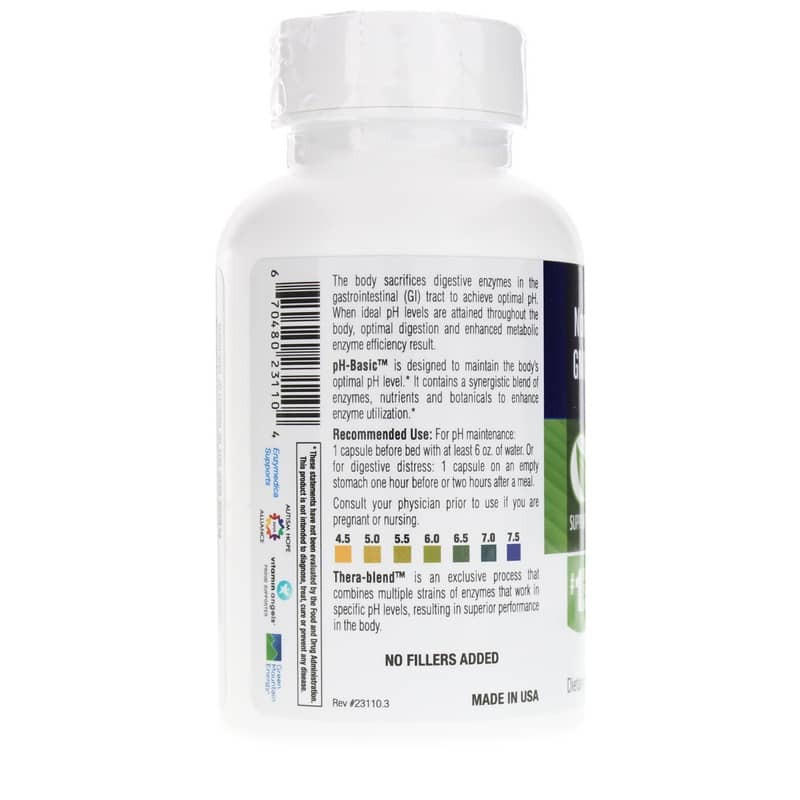 Adults: For pH maintenance: 1 capsule before bed with at least 6 oz. of water. Or for digestive distress: 1 capsule on an empty stomach 1 hour before or 2 hours after a meal. A test strip can be used first thing in the morning. If desired, a second test strip can be used between lunch and dinner.